Li Ka-Shing, the 23rd richest man in the world, and founder of Horizons Ventures has publically pledged his support to the soon-to-launch Bakkt Exchange. Ka-Shing is now one of the exchanges most influential supporters, and the investment in Bakkt is his company’s third investment in the blockchain-based startup. Bakkt has recently completed its series A funding round, raising over $180 million thanks to companies in and out of crypto space. The Bakkt futures exchange launch has been one of the most anticipated events of 2018. As it is usually the case with big and important projects, the launch got delayed, and after was scheduled for January 24, Bakkt announced on another delay with no scheduled date and they have yet to receive approval from the US regulators. In the meantime anticipating for the launch date, the Bakkt project got a new supporter to join the team. 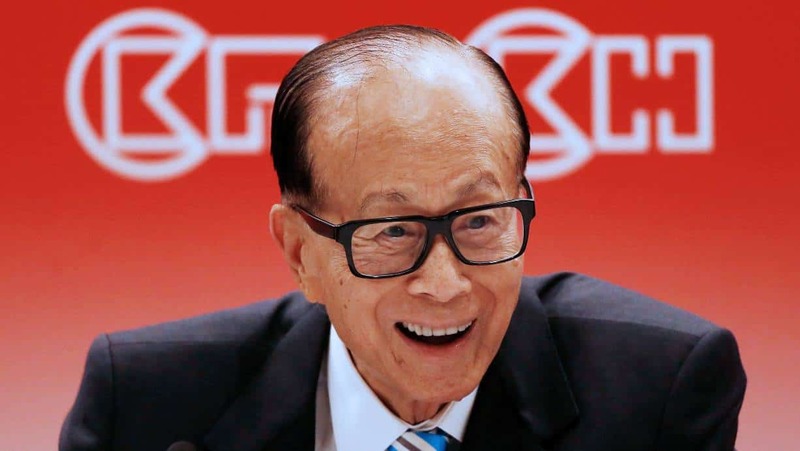 The 23rd richest man in the world, Hong Kong’s billionaire Li Ka-Shing decided to support the exchange as well. Bakkt is already making massive waves in the world, as a funding round ended up being a tremendous success. Their announcement states that the exchange, backed by ICE (Intercontinental Exchange), managed to raise over $182.5 million. The exchange already attracted some of the largest corporations’ attention, and some of them even joined in the fundraising. Some of the most noteworthy participants include ICE itself, M12, CMT Digital, Alan Howard, Pantera Capital, Goldfinch Partners, Eagle Seven, Protocol Ventures, Galaxy Digital, Boston Consulting Group, PayU, and Horizons Ventures, owned by billionaire Li Ka-Shing. So far, Horizon Ventures invested in blockchain-based startups twice, making the Bakkt investment their third. The first two include a BitPay investment in 2013, as well as Blockstream investment in 2016. The company specializes in supporting both early-stage and late-stage startups, and their addition to the list of Bakkt supporters is bound to affect the future exchange’s reputation. Bakkt plans to start offering physically delivered crypto futures contracts with institutional-grade custody arrangements, which is considered by many to be one of one of the first significant steps that crypto will make in 2019 on their way of going mainstream. The contracts will be in ICE’s care, which is currently without real competitors, as CBOE and CME seemingly do not plan to leave the comfort of fiat currency. Another result that the exchange hopes to achieve is attracting more institutional investors to the crypto space, which is also expected to enable the next step in crypto evolution and development. Some of the potential results include the reduction of high volatility, which cryptocurrencies are known for, getting accepted by more businesses, and inspiring new projects. It is also noteworthy that Bakkt has a lot of influential supporters, including Microsoft and Starbucks, meaning that their supporters already include influential firms that have no apparent connection to the crypto world.